The decision was unanimous among the sommeliers at Eleven Madison Park restaurant in New York. The perfect pairing for chef Daniel Humm’s signature honey and lavender roasted duck was the Water Golden Turtle. Notably, the beverage in question was not a wine the sommeliers were selecting. It was an oolong tea that grows on rocks and shallow soil in the Wyui Mountains of China. Tea and coffee rank as two of the most highly consumed beverages in the United States, reports market research firm Datassential. 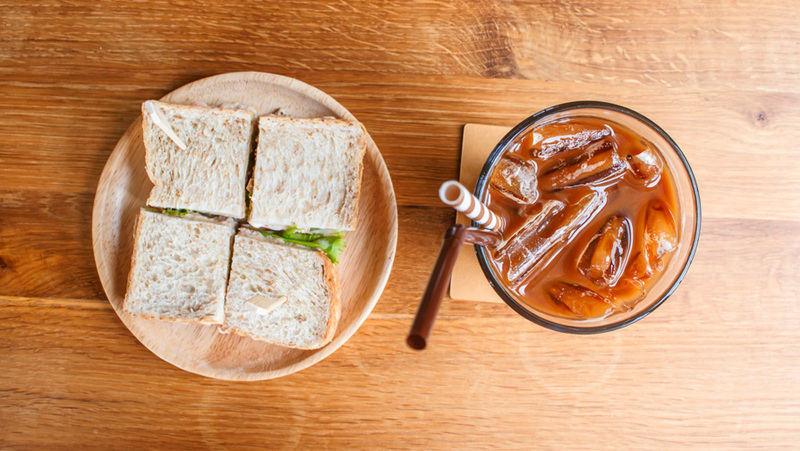 As a result, restaurant operators are brewing up coffee and tea pairings for their menus to capitalize on consumers’ interest in these beverages and boost sales. Researchers report drink pairings also increase customer satisfaction and ticket averages. Datassential’s Menu Trends Keynote reports over 40 percent of surveyed adults drink coffee on any given day, more often than bottled water, juice and carbonated soft drinks. With regards to tea, the Chicago-based firm found that 60 percent of all restaurants with non-alcoholic beverages feature at least one hot tea beverage, and 78 percent offer at least one iced tea. Thirty-six percent of consumers say it is appropriate to drink tea at any time of the day. Restaurant operators can drive up ticket prices by including beverage pairings on a menu and equipping their staff to discuss drink flavors in relationship to dishes, says Douglass Miller, an expert in beverage pairing and instructor of table service and hospitality at the Culinary Institute of America in Hyde Park, N.Y. Adding coffee or tea suggestions to the menu also becomes an opportunity for the service staff to naturally upsell consumers, he says. Servers should taste the pairings and be prepared to describe them in their own words to customers. Such authenticity and uniqueness of pairings can build trust with a customer as well as curiosity for both a beverage and a dish. In pairing tea with food, it helps to consider similarities between tea and wine, she says. Like wine, teas have different varietals and tannins. A black tea equates to red wine, green teas are more similar to white wines and oolong teas relate to high-quality rosé wines. “Black tea is more bold, has more tannins and more weight on the palate, and green teas are lighter, more delicate and subtle in complexity,” Martinelli says. At the teahouse, which was built to replicate a teahouse in Dushanbe, Tajikistan, teas and wines are paired with items of the international menu. For example, a Silver Needle White Tea is suggested for the Shanghai trout, while a Red Dragon Keemum Black tea is paired with the Latin Red Pepper Steak. Black teas, like red wine, will complement heavier dishes while a lighter green or white tea may often pair best with chicken or fish dish, like white wines, Sara Martinelli says. “On the flip side, spicy foods can be paired nicely with green teas by helping to lighten up the heavily spiced load,” she says. Coffee is often consumed with breakfast or dessert. When operators make an effort to suggest a coffee with dessert, they often can raise sales. One marketing survey of operators found that 81 percent reported they were able to increase sales by suggesting a coffee with dessert. Another 62 percent said they could charge more for such after-dinner matches. Adding tea and coffee pairings also give smaller restaurant operators and establishments that do not serve alcohol a way to differentiate themselves from customers as well as drive beverage sales, says Phyllis Ann Marshall, owner of Foodpower Inc., menu and restaurant operations consulting firm in Costa Mesa, Calif. When it comes to coffee flavor, restaurant operators say they look for more universal notes and flavors so the beverage can accentuate the majority of a menu. With every seasonal change of their menu at Bluestem Brasserie in San Francisco, owners Stacy and Adam Jed and their chefs test a flight of coffee samples from their supplier who deals directly with coffee producers from around the world. A recent example was an Indonesian coffee with a nutty flavor that paired well with the chocolate, marshmallow and graham cracker taste of a s’more dessert at Bluestem, says Adam Jed. The coffee also paired well with brunch items such as the chicken and bacon waffles dish. “We are balancing both sweet and savory, so you want the coffee to be well balanced, not too acidic and not too bitter,” he says. When Atlanta-based Chick-fil-A rolled out its Farmers’ Direct coffee last year, the chain worked with a supplier to find a blend to complement breakfast dishes as well as the chain’s signature filet chicken sandwich, says Matt Abercrombie, senior consultant of menu development for the quick-service chain. With practice and an increased knowledge of coffees and teas, restaurateurs can learn to pair these beverages just as sommeliers do with wine, says Day from Eleven Madison Park. “The best pairing in the world are ones where the drink enhances the flavor of what you are eating and what you are eating enhances of the flavor of what you are drinking,” he says.